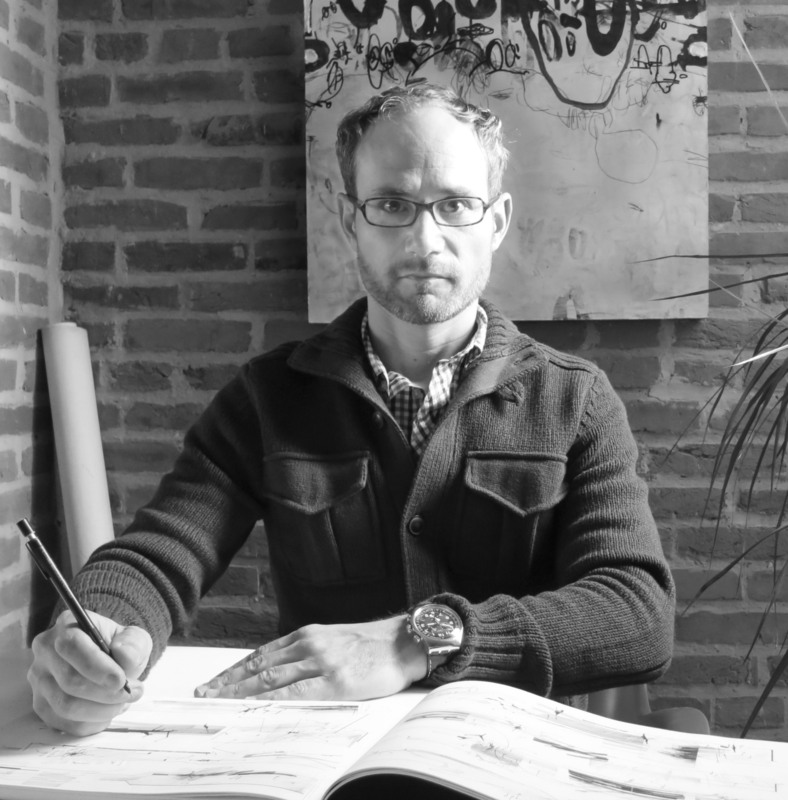 Mick Ricereto Interior + Product Design is an interior design and product consultancy based in Baltimore, Maryland, USA. 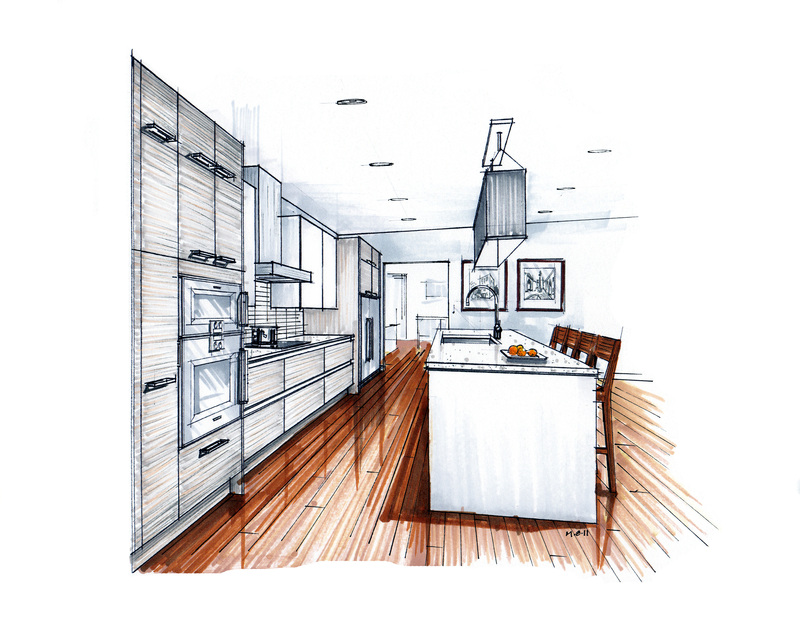 Principal Mick Ricereto has worked in the kitchen and bath, interior design and furniture industry for 22 years. 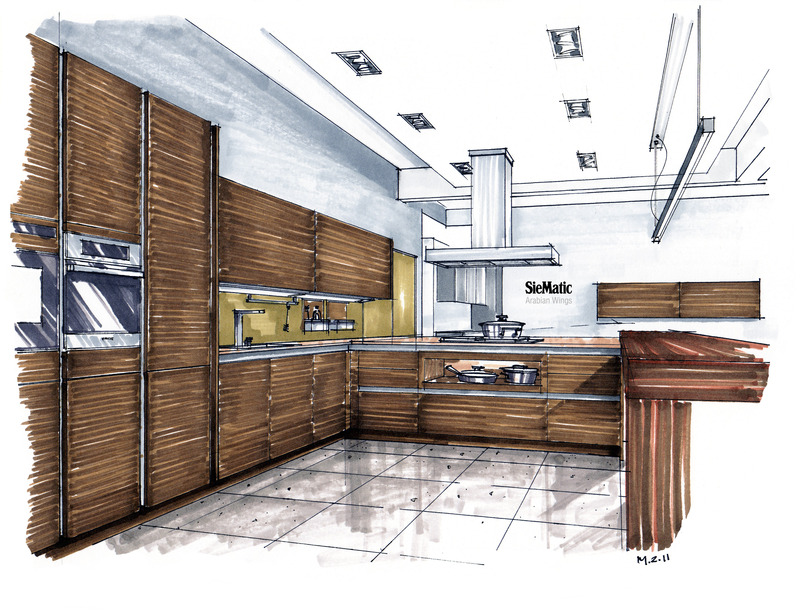 Working with clients such as Kohler, SieMatic, Amerock, Masterbrand, Ilex, Rubbermaid and Kallista, Mick brings a special combination of fashion and functionality to product and environment design. We are the New Delhi (India)-based publisher of Sourcing Hardware (www.sourcinghardware.net). Ours is a B2B magazine serving the specifiers’ communinty which include architects, interior designers, bulk buyers and traders across the country for over 15 years. While going through your website, we have selected some images (modular kitchen designs) to be featured on the Cover of the forthcoming issue of the magazine where the Cover Story is on Modular Kitchens. We would appreciate if you allow us to use by sending the good quality (300dpi) images of the following link for the purpose, at no cost. However, due credit will be given to the designer. Looking forward to the earliest response. Replied to email – thanks for your interest! regarding the Poirot episode from which you posted a couple of pics- the one about the kidnapped prime minister, did you notice the modern speed bump in front of Mrs Daniels’ apartment? No! That is funny though. That must happen all the time with period film. I was watching The Bletchley Circle the other night and noticed the nice little village cottages had modern casement windows. Poirot is back online here in the USA so I will be gorging on more episodes soon. Thanks for reading my blog. Hi! 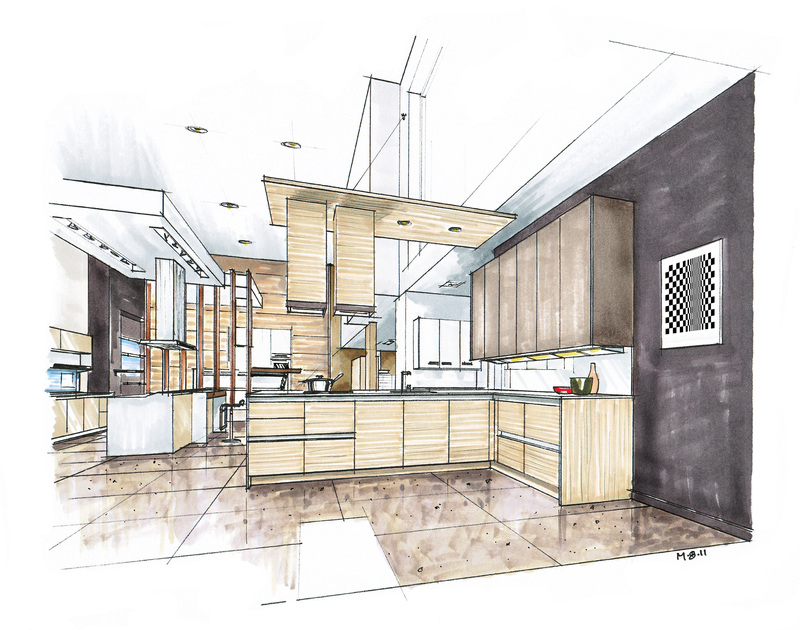 I am currently studying for degree in kitchen and bath design. I am currently working on rendering and came across your website. Your work is amazing and inspiring! Do you have any helpful tips or suggestions on creating perspectives and rendering? I would love to hear your suggestions! Hi there, thanks for commenting. Where does one get a degree in K&B design? As far as generating hand perspectives, one thing beginners often struggle with is making a room look too deep. It is always less deep than you think it is; when in doubt, make it appear more shallow. Study real life and photographs as much as possible to get a feel for room depth. Good luck! 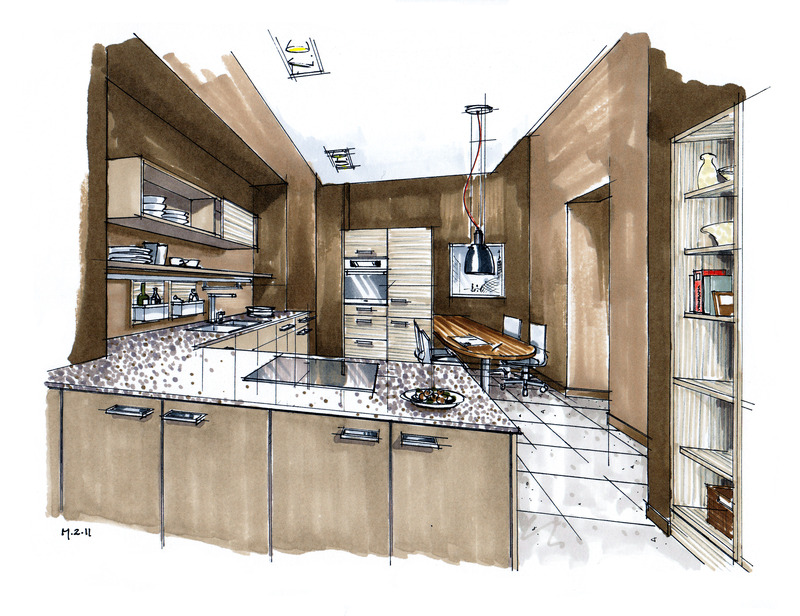 Hi, I am an architect with a special interest in interior and kitchen design. You’ve got a lovely blog. Stumbled on your page through google. Hi there – thanks for visiting. 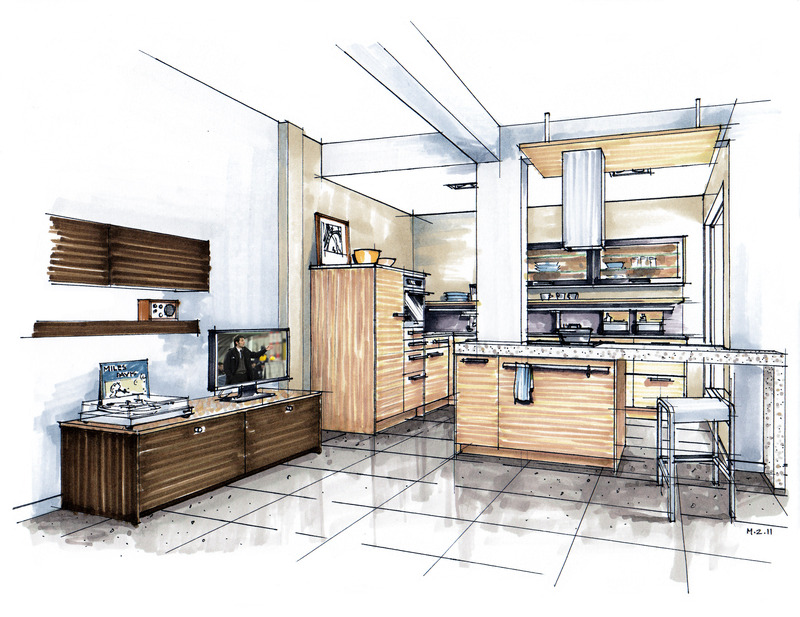 Typically designers get a commission for kitchen sales in the USA, as part of compensation for incentive to keep the projects coming. This is often in addition to normal compensation (monthly salary). In some cases designers may work for commission only, particularly in a large showroom and if coming in with their own resources (personal computer and such). It all depends on the owner of the showroom and what type of work they are seeking/doing. Good luck!